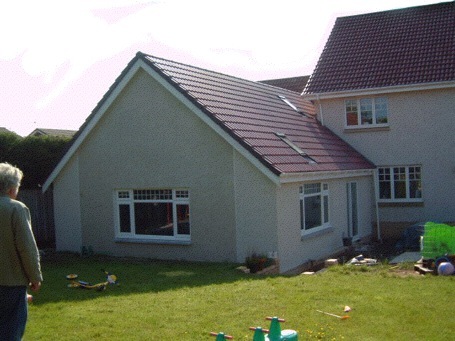 This project saw a large rear extension constructed at right angles to the existing detached house. This created an 'L' shaped floor plan which allowed for efficient circulation as well as more generous accommodation. By turning the new wing 90 degrees to the existing house a new sheltered patio area was also created enhancing the external landscaping and improving the relationship between the internal and external spaces.